The SteriPen ADOSC-RP destroys waterborne bacteria, viruses, and protozoa (giardia and cryptosporidium). Clip the case to your backpack or set it on the ground facing the sun and the battery will recharge. 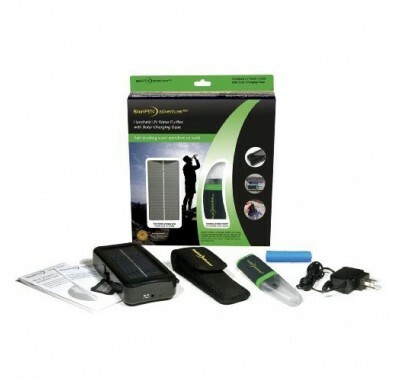 Solar panel recharges 1 double-cell battery in 2-5 days, depending on solar conditions. Battery can be recharged via the included plug-in power adapter in 4-6 hrs. 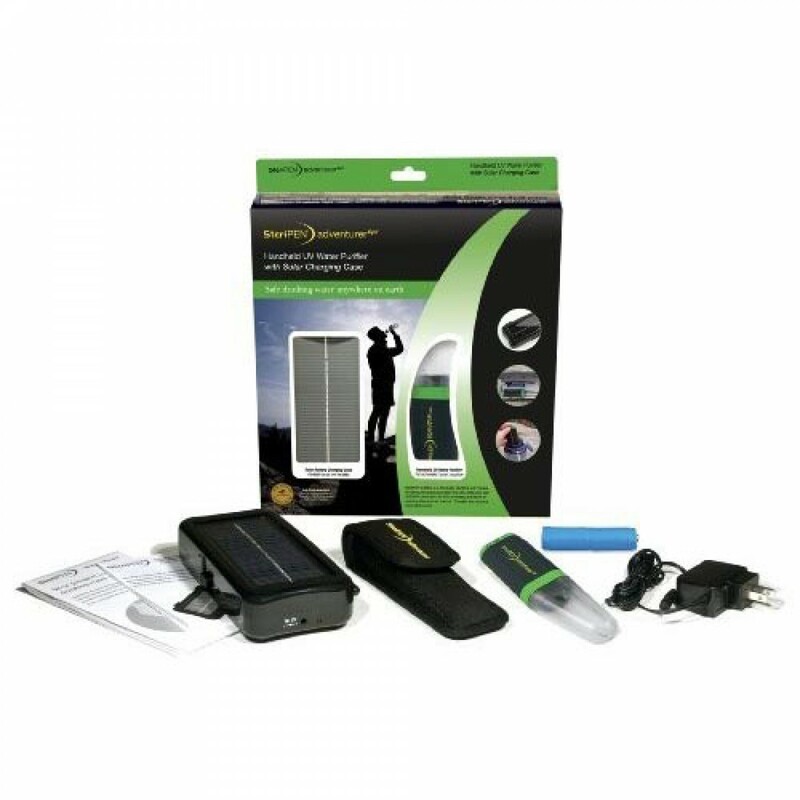 The Adventurer Steripen allows you to purify 8,000 doses of water. The Adventurer Opti works with containers that are at least 1.75-inch in diameter (i.e. Nalgene wide mouth bottles.). WARNING: It is strongly recommended that you use a sediment filter (like the SteriPEN FitsAll Filter) before using a UV Light for purification.